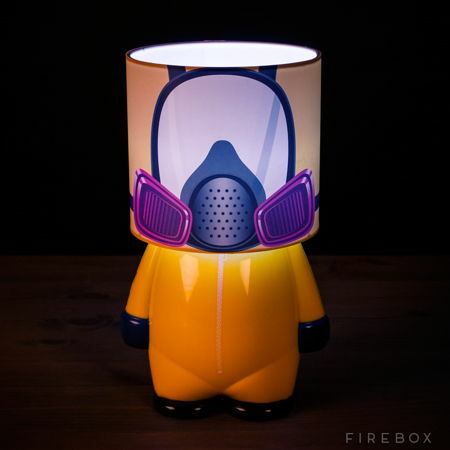 Everyone needs a night light, and if you happen to be a huge fan of the Breaking Bad series, the you would surely want to ditch that stock IKEA bedside lamp for the £19.99 Breaking Bad Lookalite. Now that Breaking Bad has finished, you will still be able to continue to brighten up your evenings with the Breaking Bad Lookalite, where it will be capable of letting out a soft Walter White glow which makes it ideal for late-night cooking sessions. It sports the iconic yellow Hazmat suit and gas mask, and it is powered by batteries so there is no need to get all tangled up in a mess.